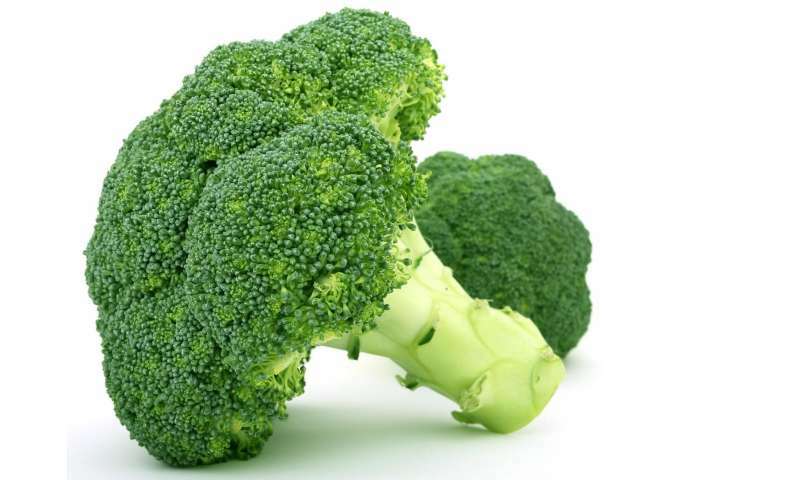 It turns out that kids are paying more attention than you think when you say broccoli is good for them. "It is important for parents to understand whether having food rules – and more specifically, what kinds of food rules – may help encourage healthy eating," wrote Stanford doctoral candidates Jennifer Wang and Priya Fielding-Singh in a study published May 14 in the Journal of Adolescent Health. To better understand adolescents' independent food choices, Fielding-Singh and Wang surveyed the student body, 1,246 adolescents in total, of a diverse San Francisco Bay Area high school. Students were asked about their dietary beliefs and behaviors, and also about their perceptions of parental attitudes and practices related to food. "The students that participated in our study understood what foods were healthy and unhealthy," said Fielding-Singh, a sociology doctoral candidate in the Stanford School of Humanities and Sciences who co-authored the study with Wang, also a doctoral candidate studying environment and resources with a minor in psychology. "We adults tend to underestimate how cognizant teenagers are of the healthiness of what they are consuming," said Fielding-Singh. But Wang and Fielding-Singh wanted to know more than just what teenagers thought about food. They were curious to know how teens actually behaved when they didn't think their parents were watching them. "We wanted to see how teens make food choices when they are on their own," said Fielding-Singh. So the two researchers embedded a controlled experiment within their study: At the beginning of the survey, the high schoolers were told that their participation automatically entered them into a raffle where they could win two snacks of their choice to pick up from the school office the following week. Neither students nor teachers were aware that the snack raffle was part of the researchers' experiment. From there, the researchers ran several conditions to manipulate whether teenagers thought their parents would have to approve their snack choices. In one condition, students were told that they would need parental approval before they could pick up their snacks. In another condition, students were told that they would not need their parents' approval to pick up their snacks. Students were then shown 10 snacks, five of which were healthier and five of which were less healthy. These snacks included yogurt, hummus with pretzels, and apple slices, as well as gummy worms, Oreo cookies, and Cheetos. Students were then asked to choose two snacks. Wang and Fielding-Singh found that adolescents who reported having at least one health-oriented food rule at home had significantly higher odds of choosing a healthier snack – regardless of how much parental oversight they perceived. In addition, students with a health-oriented food rule reported that they were more likely to feel good when they made healthy choices and feel bad when they made unhealthy ones. "These results suggest that the food rules parents have at home can continue to shape their teens' behaviors, even when parents are not actively supervising," said Wang. This study builds on Fielding-Singh and Wang's earlier research that found socioeconomic differences in how mothers and adolescents talk about food. The researchers wanted to use a survey to further explore parental influences on adolescent food choices. Consistent with prior research, they found that gender, age and parental education played a role in healthy eating decisions: being female, in a higher grade, and having a parent with higher levels of education increased a teen's chances of picking healthier snacks. However, one finding to emerge from their study was that a health-oriented food rule had as big an effect as parental education on food choice. "Given the challenges parents face in getting kids to eat healthier, our findings are hopeful," said Fielding-Singh. "Having a health-oriented food rule at home may give kids a roadmap for making healthier food choices when they're out on their own."